Photos provided by Charles Henson, Phil Smoot, Kevin Slick, Jamie Slick, Malcolm Gittins, Paul Speidel, Max Cheney, Cortlandt Hull and others - thank you! 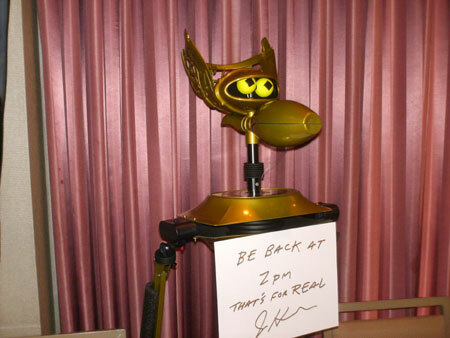 Joel Hodgson of MST3K on break, 'bot tells all! 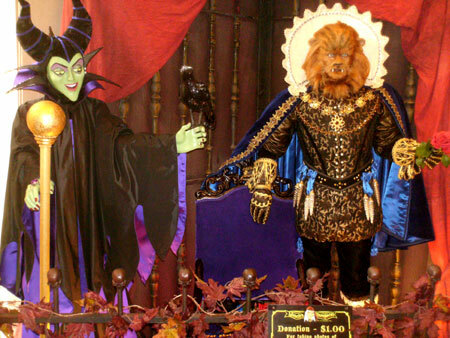 The Witch's Dungeon display courtesy of Cortlandt Hull...entertains all.. 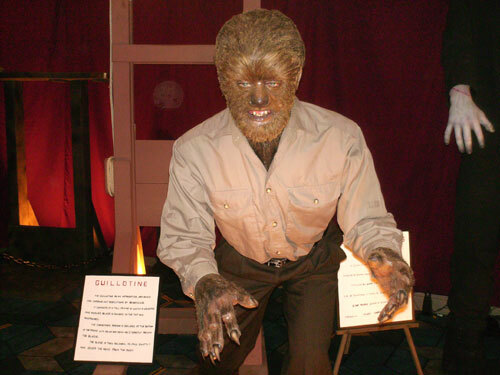 The Wolf Man lurches for attendees at MONSTER BASH. Figure by Bill Luciani and Tony Pitocco. The Ultimate Abbott & Costello Tribute team with a crate direct from McDougal's House of Horrors....crate by Dan Weber and calligraphy by Cathy Weber. 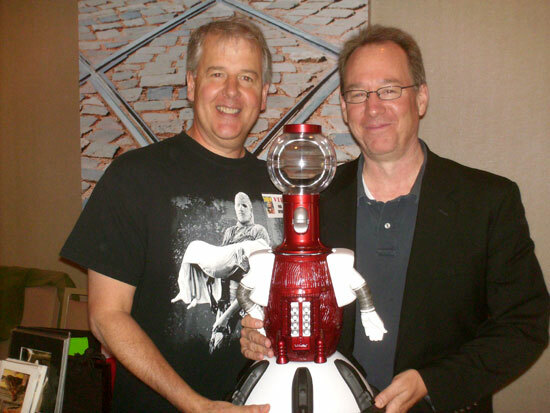 Monster Basher Paul Speidel and Mystery Science Theater's Joel Hodgson. 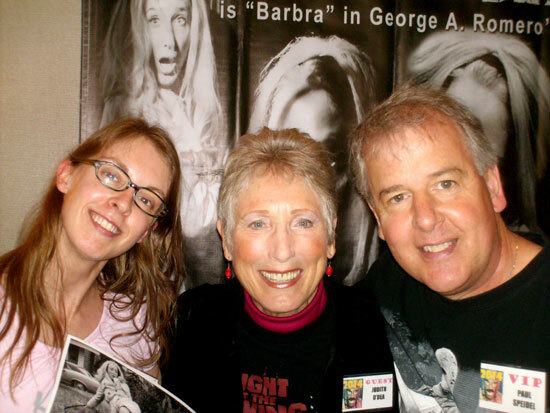 Frances and Paul meet NIGHT OF THE LIVING DEAD's Judith O'Dea at MONSTER BASH June 2014. 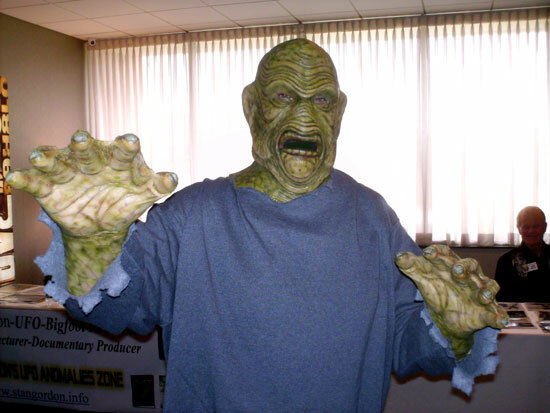 A Creature Bashes Among Us at MONSTER BASH June 2014. Custom mask by John Tatarelli, Jr. and in suit...Tim Moehring! 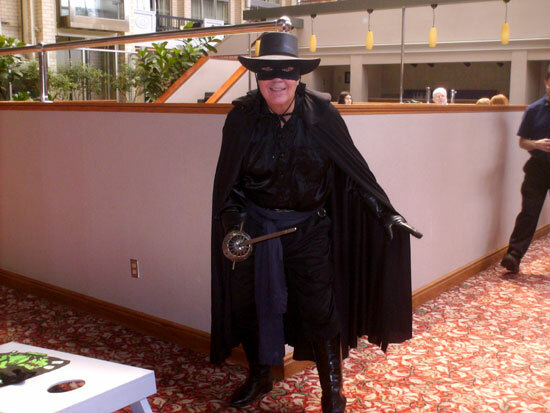 Zorro showed up to save the day at MONSTER BASH! It's long time Basher David Hawk, Basher of a thousand faces. 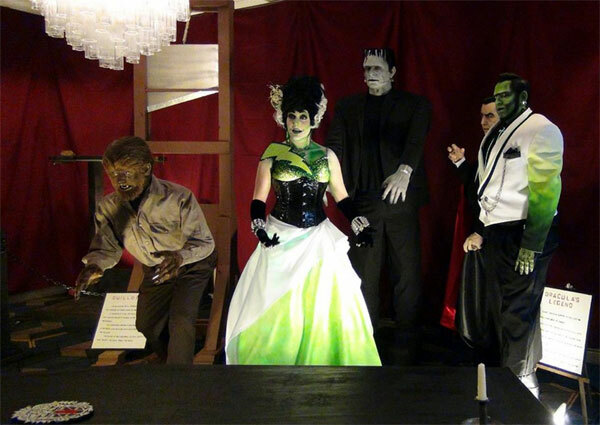 A couple share an intimate moment at MONSTER BASH June 2014. 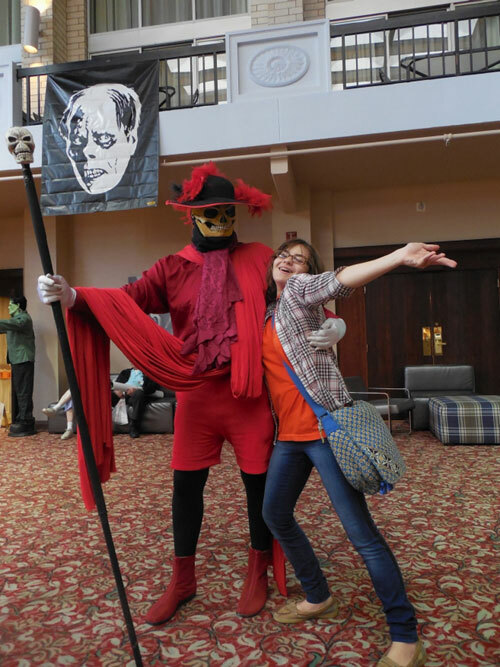 The Red Death and Paisley Adams. A MONSTER BASH Creature Feature! 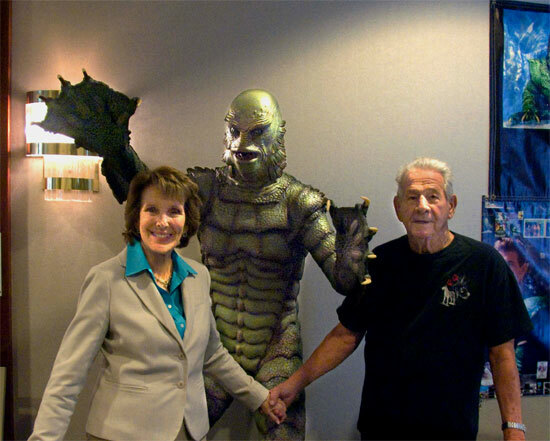 Julie Adams, Ricou Browning and dear old friend. 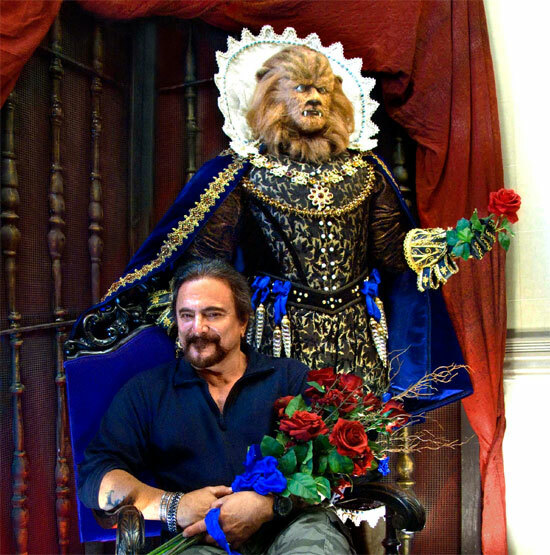 Tom Savini and "The Beast" at The Witch's Dungeon display - MONSTER BASH June 2014. 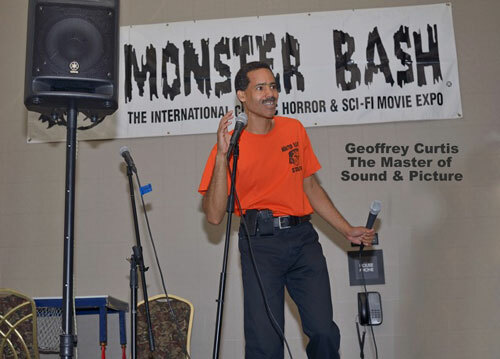 Geoffrey Curtis, our MONSTER BASH 16mm projectionist. 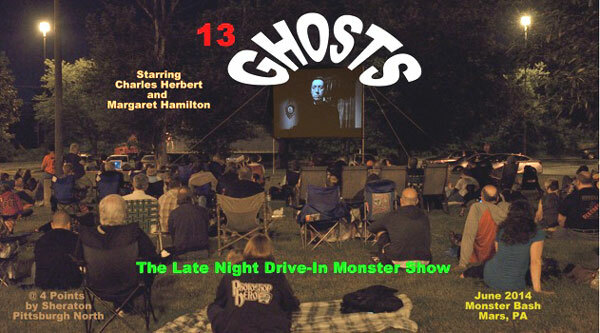 Movie under the stars on Saturday night at MONSTER BASH. 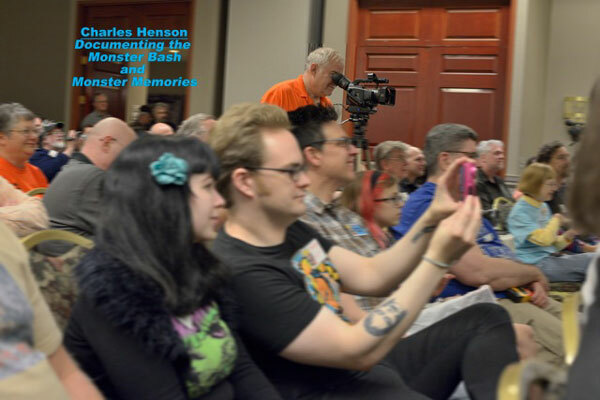 MONSTER BASH videographer Charles Henson (behind the camera at door) captures the magic moments at Bash. 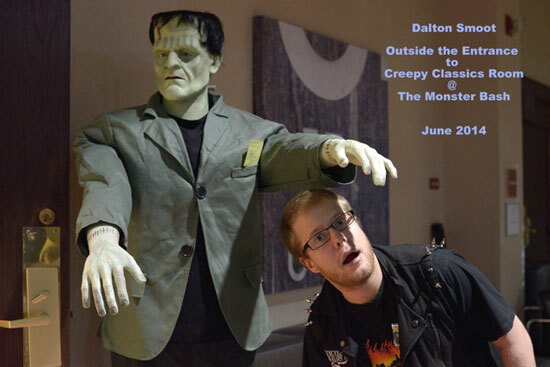 Dalton Smoot mugs with Frank at the Creepy Classics room entrance - MONSTER BASH CONFERENCE . 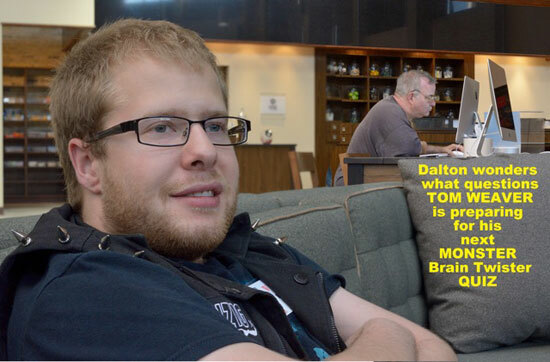 Basher Dalton Smoot with a rare shot of film historian Tom Weaver at the computer in the background! 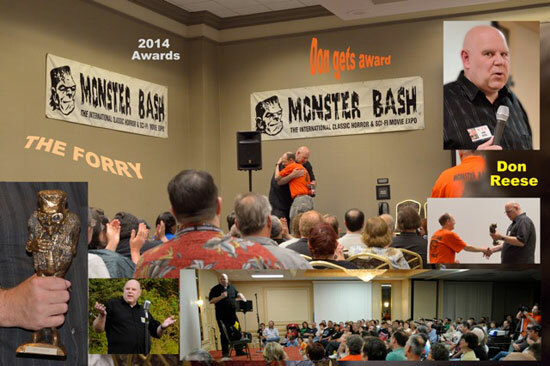 Monsterman comedian Don Reese get a lifetime MONSTER BASH AWARD ("The Forry"). 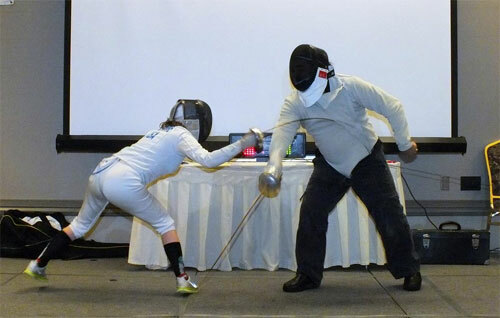 Paisley Adams fencing Tom Savini at MONSTER BASH June 2014. Monsters and friends near registration at MONSTER BASH. 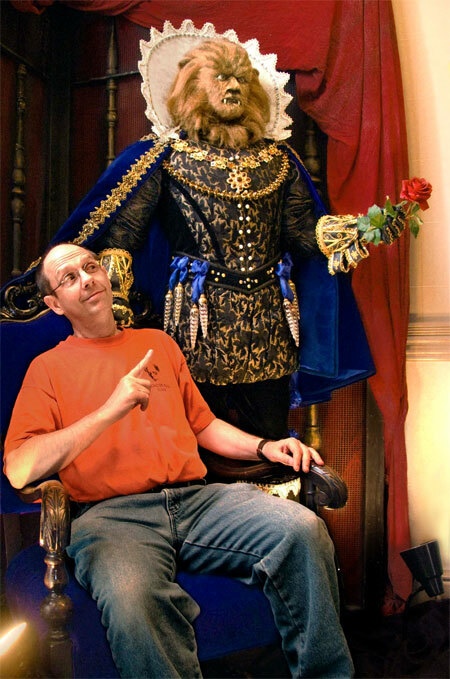 Don Reese ("King For A Day!") 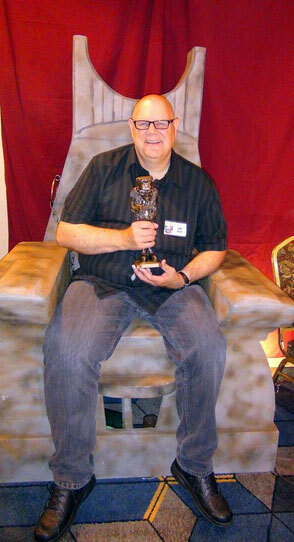 sits at the replica prop chair from ABBOTT AND COSTELLO MEET FRANKENSTEIN. Wooden prop sets by Dan Weber. 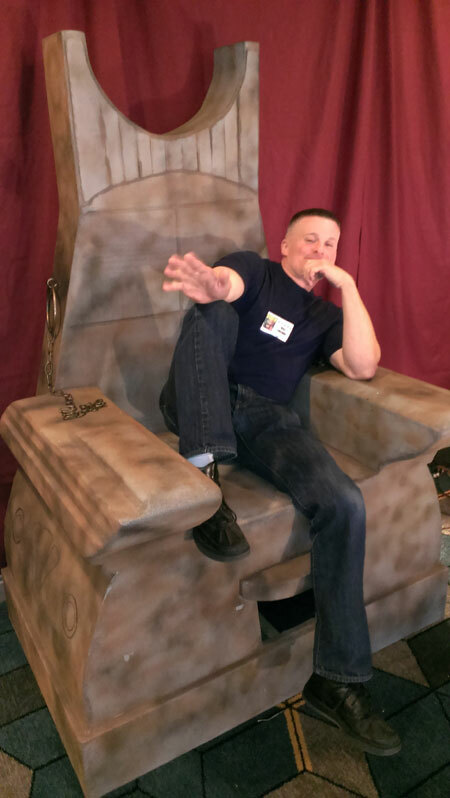 MONSTER BASH Program Director Ron Adams points at the fantastic Beast from The Witch's Dungeon display! 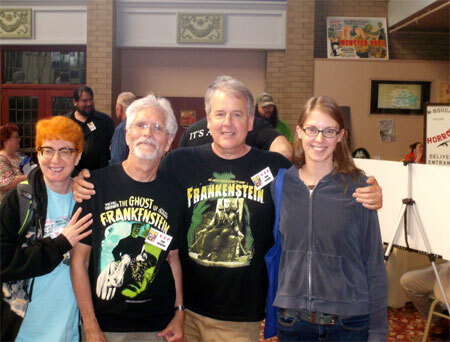 One of the creators of the A&C MEET FRANKENSTEIN monsters that appeared at BASH, Bill Luciani. Amazing perfection when it comes to life-size figures. The amazing "Chair" by Dan Weber. 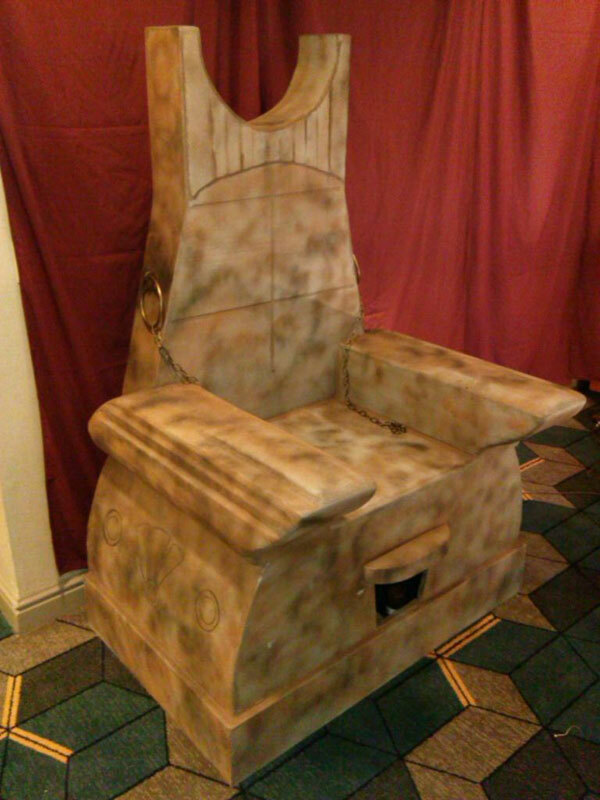 A replica of the large chair that the Frankenstein monster sits in for ABBOTT AND COSTELLO MEET FRANKENSTEIN. 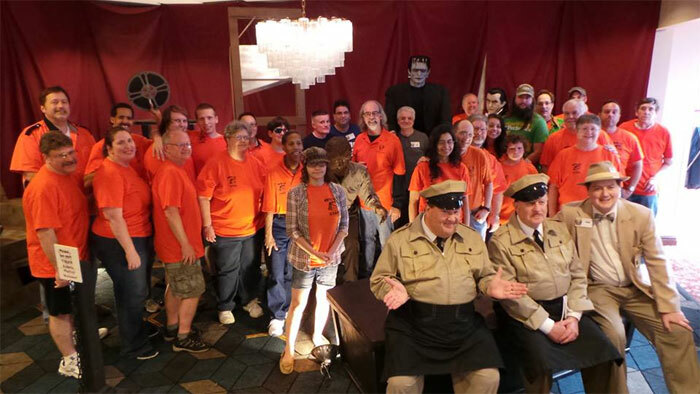 The best convention staff in the world...a sea of orange!